We encourage qualified Democrats to run and serve in elected office, serve on town boards and commissions, or just contribute your time to help at events. There are many ways to get involved! We're here to help you find the right volunteer opportunity for you. By joining the DTC, you'll stay informed about what's going on in New Canaan government. The DTC relies on residents like you to represent the Democratic point of view on town commissions. Do you have a particular interest or skill you'd like to lend to the DTC? Let us know what interests you! 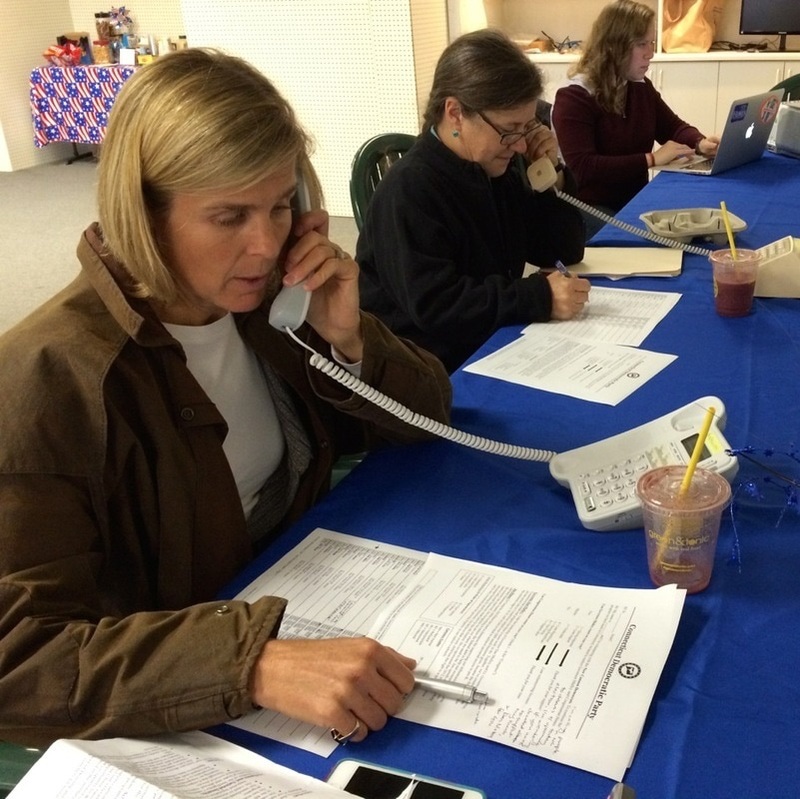 During election season, the DTC organizes phone banks to reach out to New Canaanites and encourage them to get out to vote. We help nominate candidates for office, as well as recruit and recommend Democratic appointees to town boards and commissions​. Through the DTC Speaker Series and other events, we work to encourage the growth of an informed and conscientious electorate. DTC campaign headquarters provides a central location for volunteers to lend a hand during election seasons.